These are the opening lines by Steve Paxton in the film Fall after Newton which we watched together this month. It was great to be reminded about the original curiosity behind the development of Contact Improvisation. It was also very inspiring to watch the birth and development of this form, mainly through the bodies of Nancy Stark Smith and Steve Paxton. This is going to be a real treat, jammers! We will have a class and jam warm-up led by Aya Kobayashi, who will be joined by fantastic musician Nicolette Corcoran Mcleod, and it will take place in Tramway. FORCE OF NATURE an amazing documentary produced by Goat, an independent, international, award-winning production company based in Scotland. A documentary featuring the renowned improvising dance artist Kirstie Simson. Over five years, Katrina filmed Kirstie Simson performing and teaching across Europe, culminating in a one-off performance with Michael Schumacher, Kenzo Kusuda and Dai Jian at the Universal Hall in July 2010. Force of Nature combines specially filmed performance, documentary footage and in-depth interviews with Kirstie, in which she talks about her life-long practice, and her passionate belief in the power of dance to bring people together and transform lives. This will be a fantastic opportunity to dive deeper into the work. If you are serious about Contact Improvisation then you must join this workshop. The space is small and we have limited places available so make sure to book your place (by emailing us). Places available on a first come first served basis. Please see details of the workshop in the attached flyer. 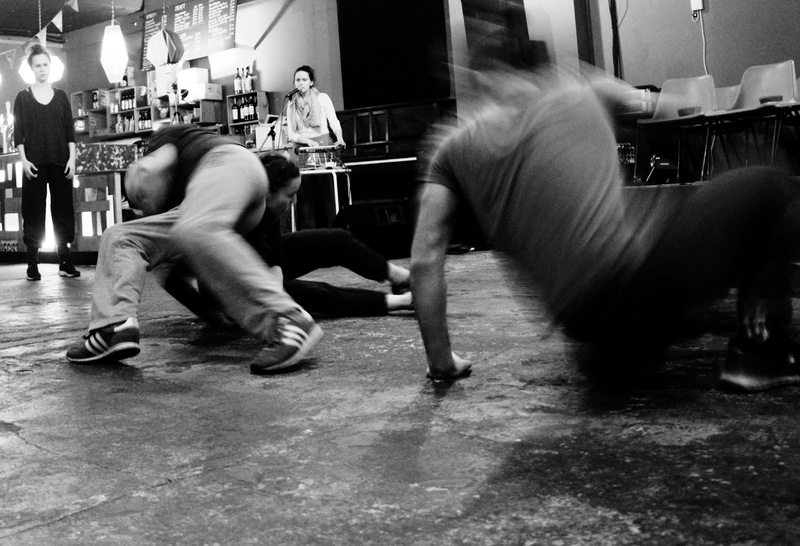 * This workshop may not be suitable for complete beginners to Contact Improvisation. If you are in doubt about whether this is the right opportunity for you please get in touch and we can help you to decide.